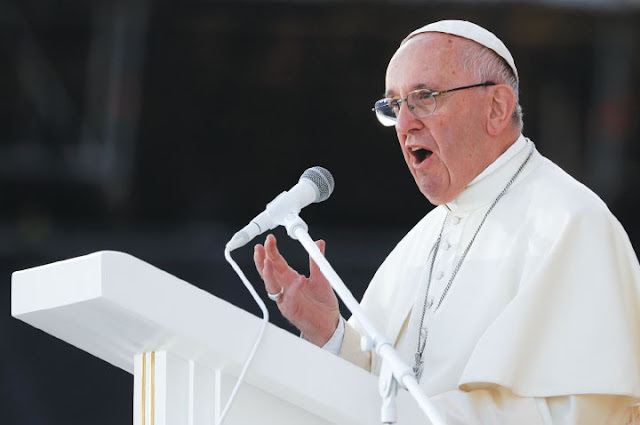 Pope Francis on February of last year criticized some members of the church he is heading, saying that he would rather some members be atheist than the "many" catholics who live a hypocritical double life. “It is a scandal to say one thing and do another. That is a double life," he said in improvised comments during his homily. “There are those who say ‘I am very Catholic, I always go to Mass, I belong to this and that association’,”he said, according to a Vatican radio transcript. Francis who was elected in 2013, has consistently told his followers to practice the ideals of the religion. In some of his impromptu sermons, he has called out priests sexually abusing children, calling it "Satanic mass"
He also reminded his cardinals to not act as if they were "princes". Futher, he reminded his people not to discriminate atheists and see them for the good they do.